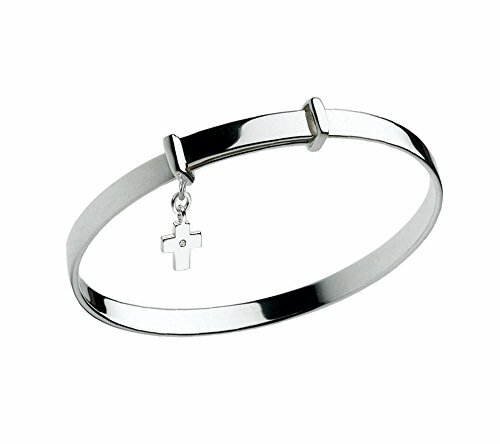 This highly polished sterling silver bangle bracelet are designed for boys and girls, it features a dangling cross charm set with a sparkling diamond. Size is adjustable from 4 1/4 to 6 inches to fit children's wrists better. Engraving service is available, free beautiful gift packing and gift card are offered, a great gift choice. 14k Yellow Gold Mother and Child Bracelet, 7"
Natural Baltic Amber Bracelet Big Cherry Colour Beads 51,2g 20± mm size. Natural Baltic Amber Bracelet Dark Marble Colour 41,9g, 18± mm size.